As of the 2010 census, the total population was 119,097, with 43,299 households and 31,073 families residing in the city. Thepopulation density was 3,209.8 people per square mile (1,239.3/km2). There were 45,508 housing units at an average density of 1,253.7 per square mile (484.1/km2). The racial makeup of the city was 63.6% White, 8.4% African American, 0.6% Native American, 13.4% Asian, 0.03% Pacific Islander, 10.8% some other race, and 3.1% from two or more races. Hispanic or Latino of any race were 30.0% of the population. There were 43,299 households at the 2010 census. Of these, 35.9% had children under the age of 18 living with them, 71.8% were headed by married couples living together, 12.4% had a female householder with no husband present, and 28.2% were non-families. 22.5% of all households were made up of individuals, and 4.6% had someone living alone who was 65 years of age or older. The average household size was 2.74, and the average family size was 3.25. In the city the population was spread out with 26.0% under the age of 18, 8.5% from 18 to 24, 29.7% from 25 to 44, 27.8% from 45 to 64, and 8.0% who were 65 years of age or older. The median age was 35.6 years. For every 100 females there were 95.7 males. For every 100 females age 18 and over, there were 92.4 males. At the 2010 census, the median income for a household in the city was $70,960 and the median income for a family was $68,672. Males had a median income of $45,469 versus $32,997 for females. The per capita income for the city was $26,746. About 4.1% of families and 5.6% of the population were below the poverty line, including 7.4% of those under age 18 and 6.3% of those age 65 or over. 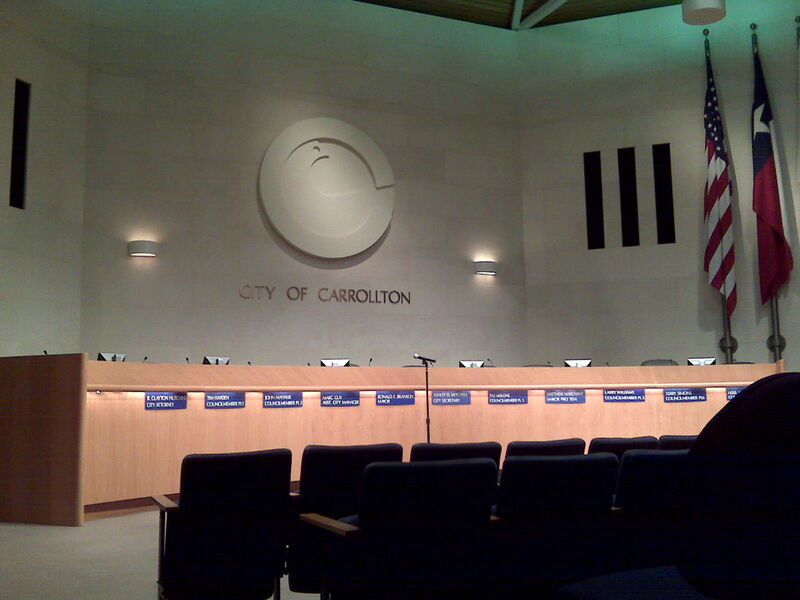 Most of Carrollton is a part of the Carrollton-Farmers Branch Independent School District. Dallas Independent School District also serves a small portion of Carrollton in the south, along with the Lewisville Independent School District in the north. The DISD portion is served partially by Jerry R. Junkins Elementary School, Walker Middle School, and W. T. White High School. Private schools in the area include The Saint Anthony School, Carrollton Christian Academy. At one time Coram Deo Academy had a campus in Carrollton. The Japanese School of Dallas, a supplementary Japanese school, conducts its classes at Ted Polk Middle School in Carrollton. The school has its main offices in Farmers Branch. Responsive Education Solutions has two charter schools in Carrollton. Carrollton Classic Academy, grades K-5, which holds classes at First Baptist Church, and Quest of Coppell, grades 6-8, which holds classes at The North Church. Updated: 21st April, 2019 8:01 PM.